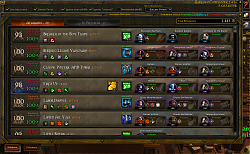 GarrisonCommander can automatically schedule all your missions with just 2 clicks, complete missiosn with 1 click, build optimal parties and includes realm wide brokers for garrison resources, mission statuses, work orders, harvesting and much more. 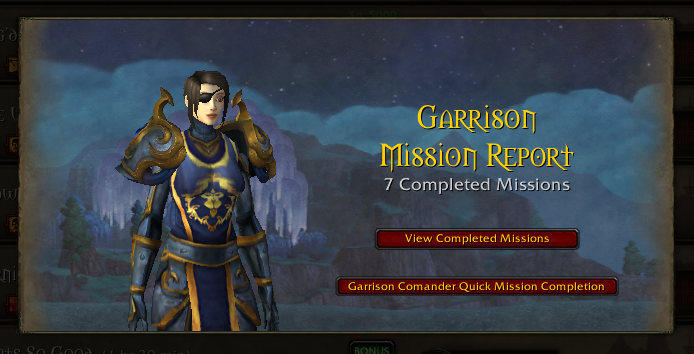 Two very special features of Garrison Commander are **Mission Control** and **Per follower mission list**. 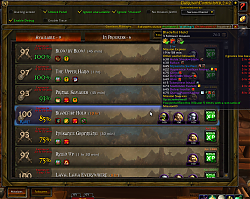 Naval mission are receiving the same enhancements of infantry missions. In the map you will see the best success chance you can obtain for each mission and clicking on a mission shows the mission pge with follower preloaded. *Mission Control uses every follower exactly one time because mission control goal is sending all your followers to mission with just one click. You can choose between "Big screen" and "standard" mode. Feature: Ship list enhanced with "xp to go"
Feature: Update frequency is now configurable. 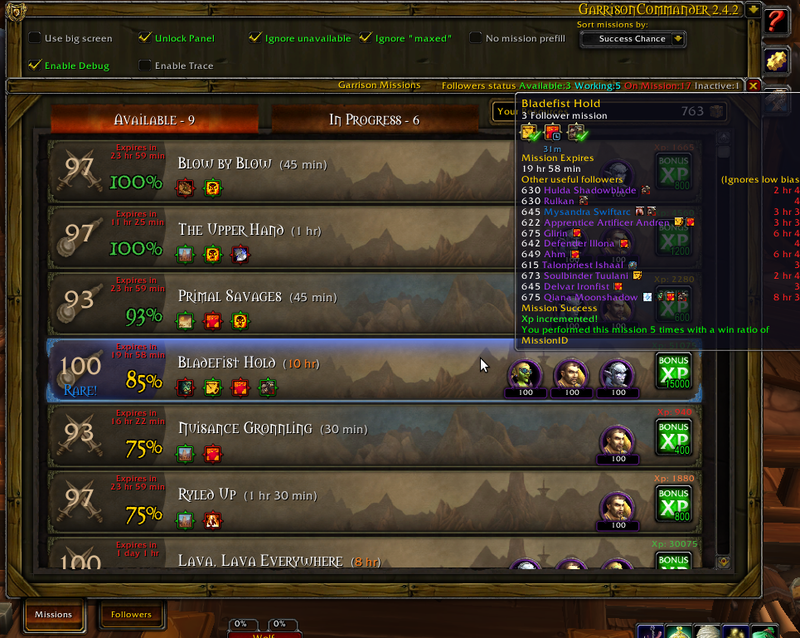 So far I like this addon but I'm getting this error when signing on. 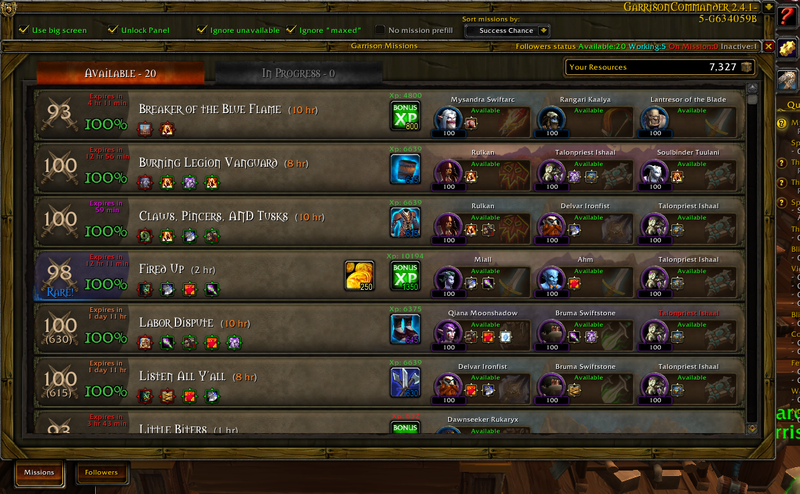 Thank you for this really nice addon. 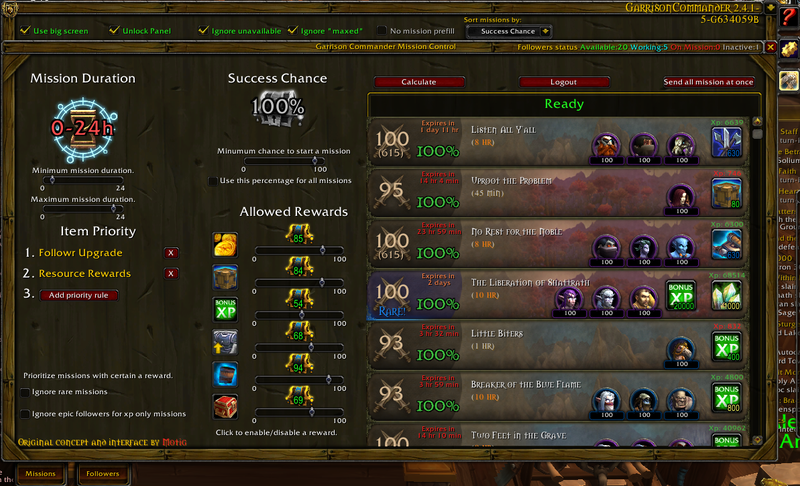 Makes doing missions super easy.